FREE first person survival shooter! Your worst nightmares come to life in this block style FPS horror game! Fry Frankenstein, hunt the Headless Horseman, and cross a creepy corn maze in this survival first person shooter. 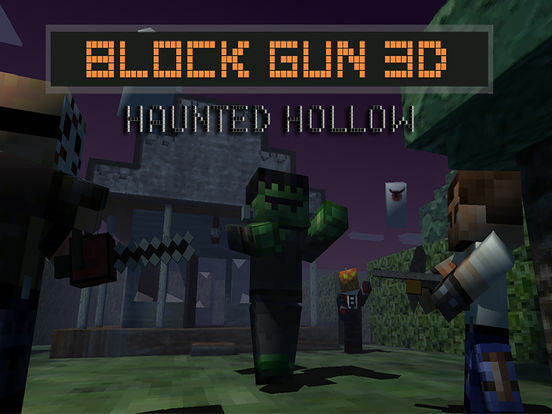 Block Gun 3D: Haunted Hollow is the terrifying FPS action game for you! And it's FREE! You find yourself lost in the Haunted Hollow. The undead monsters, zombies and ghosts of the underworld have awakened from their slumber. Repel wave after wave of creepy foes with your wits, quick reflexes and any weapon you can find! Will you hole up in the haunted house or try your luck in the maze? Only the tough survive! How long can you last the onslaught?!? Defeat your foes with precision! 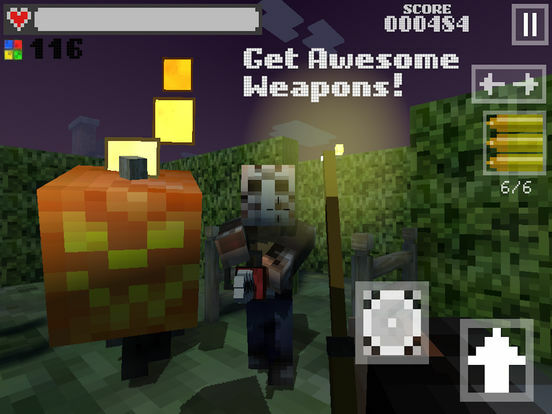 Vanquish the Halloween ghouls and their corpses will explode into a piles of colorful blocks! 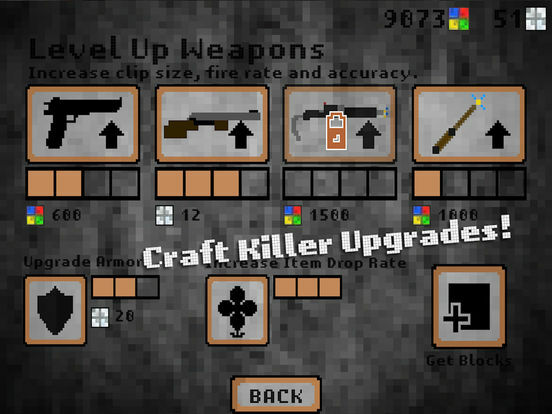 Collect the blocks and use them to craft upgrades and forge new mysterious weapons! Can you earn the coveted Wand of Power!? Note: Block Gun 3D: Haunted Hollow is not affiliated with Mojang AB or Minecraft.